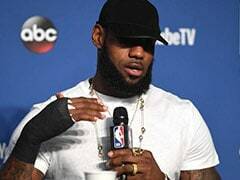 The International Basketball Federation (FIBA) did not allow the use of headgear for a two-year trial period but the implementation of the rule was not absolute. Bowen said that basketball or any other sport should be used to bridge gaps rather than creating them. A Sikh basketballer playing without the turban. 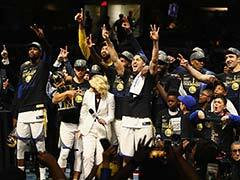 As Sikh and Muslim basketball players around the world hope to get the headgear ban overturned, NBA legend Bruce Bowen has backed their demands and insisted that the game is not here to create any religious strife. 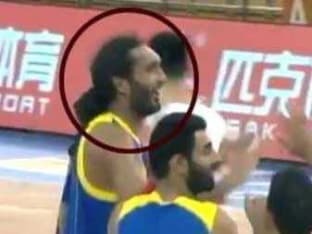 Trouble started in July this year when two Indian Sikh players -- Amritpal Singh and Amjyot Singh -- were told to remove their turbans in the FIBA Asian Cup in China. Former San Antonio Spurs great Bowen says the ruling does not reflect the character of the sport. "I don't think basketball is here to create any religious strife. And I think you have to respect people's religion more than anything else. I don't see an issue, but again I am no authority. Guys wear headbands in basketball so it's not like something has not been on someone's head before. "I had never heard of this. As far as I am concerned, it doesn't stop the process," said Bowen, who is in the city to promote NBA as part of the 'Sprite' initiative. "Again this is my opinion and if they allow such things then they only build communication between nations. Because sports is a great unifier. Two players don't know the language but they communicate through the sport itself and that to me is great. Two governments can't talk but when it comes to sports, they say 'just get it on'. May be we should make everything about sport. Basketball is a worldwide leader in creating dialogue in a sporting event," added Bowen, who is also the ambassador for the game. The 6 feet 7 inches tall player, who retired in 2009 after being considered as one of the most feared perimeter "lockdown" defenders in NBA history, is now an analyst with ESPN and believes that India has a talent for basketball. 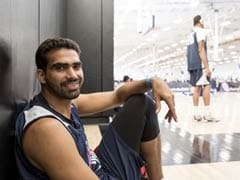 "If given an opportunity, I think the NBA is one of the best helpers of getting things established quite like that clong with some of the partners that we have out here in India. From a visual stand point it's Sony Six that is showing games. Kids who have the energy and excited about learning something different other the No.1 sport here that is cricket. "So it's not about trying to take something away from cricket or football, but trying to give them other options," he opined. The Indian men's bastketball team finished a disappointing sixth in the Incheon Asian Games this year but Bowen said that the future of the game is bright in the land of cricket and hockey. "Even though I haven't seen the Indian national team play what I have been impressed with is the little things. I have been observing and I am watching a kid shoot and watch his follow through. Those are the things that really matter. "As you teach kids, some grasp them fast while others are real quick. And I know there are some camps going on but you have kids that are able to grasp hold of things. There is a passion there and that's what I like in kids and I see it here," said Bowen. Insisting that genetics does not play a big part in the growth of a player, Bowen said that even people of small height have had a great impact and thus India certainly stands a bright chance on that front. "Genetics, to me does not play a big part. Players like Anthony Jerome "Spud" Webb (5'7") and Tyrone Curtis "Muggsy" Bogues (5'3" - shortest player to play NBA) have not only made a mark but have been great players. So it's not about genetics but it's all about the size of the heart. If you have got the talent then size will never limit you. Yao Ming from China had tremendous impact. So there are some guys who are big but not that good. They just have to be in a system they can possibly help out at some time. It's all about the talent" said Bowen. With the basketball craze in the US matching up with cricket in India, Bowen, 43, might not know much about the bat and ball game but said that athleticism is a common factor in any sport. "I saw one player catch a ball on the rope, throw it up inside the field of play, get his balance right and catch it again. So that was great and it's an athletic move. 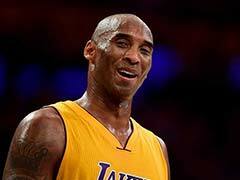 So you have it, if you can have athleticism in cricket then I am sure you can have it in basketball," he said. "I was watching India playing Sri Lanka but I don't understand it. Cricket is not at all popular (in the USA) . These games are eight hours long, it needs serious focus," he added smilingly.